I prepared this for Maia, but then tasted one myself. I don’t know why, but for the first time in ages I truly savored the sweet flavors of strawberry and chocolate blended together. I mean, really contemplated the flavors as I took a bite. It was as though I was tasting them for the first time. What a pleasant experience. As part of my revamp of this blog, I am going to occasionally add recipes of new dishes that I try to make. Beginning this week, I decided to start creating a weekly dinner menu. I have found that when I have a lot on my mind, I have a hard time coming up with ideas for what to cook. If it were just me, I wouldn’t sweat it so much – the freezer is loaded with frozen food that I can pop in the microwave on a minute’s notice. But since I am also cooking for my daughter, I want to make a concerted effort to ensure she’s getting the nutrition she needs. So last Sunday I searched the Internet for recipes and made a menu. (By the way, I should add that this makes grocery shopping a lot easier.) On Monday we had chicken tacos (which I really should have documented with photos because they turned out really good). Yesterday we had something called “Almost” Lasagna. It’s “almost” because the recipe calls for elbow macaroni instead of the traditional lasagna pasta. 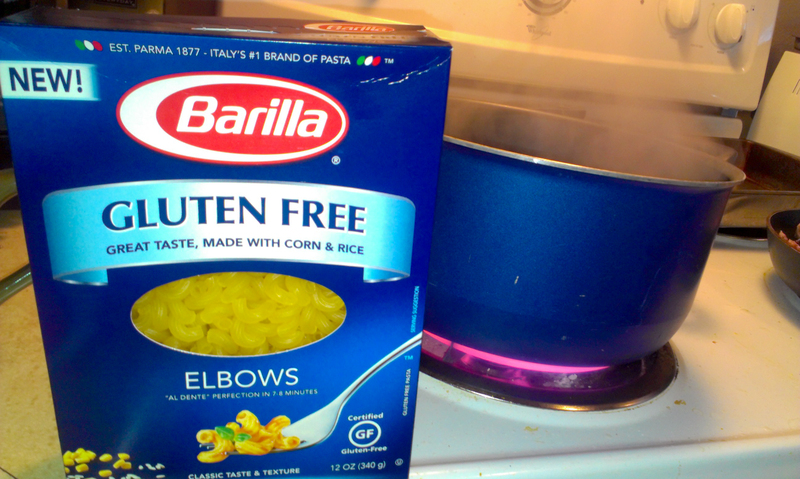 After preparing the vegetables, I boiled water with a small amount of olive oil, then added the elbow macaroni. Boil for 7-8 minutes. 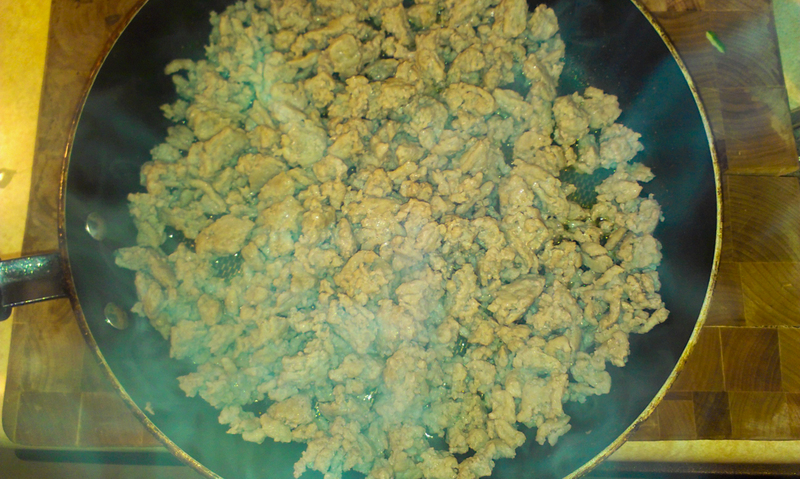 While the pasta’s cooking, start frying about a pound of ground turkey. You could use any kind of meat, but this recipe called for turkey and I quite liked it. 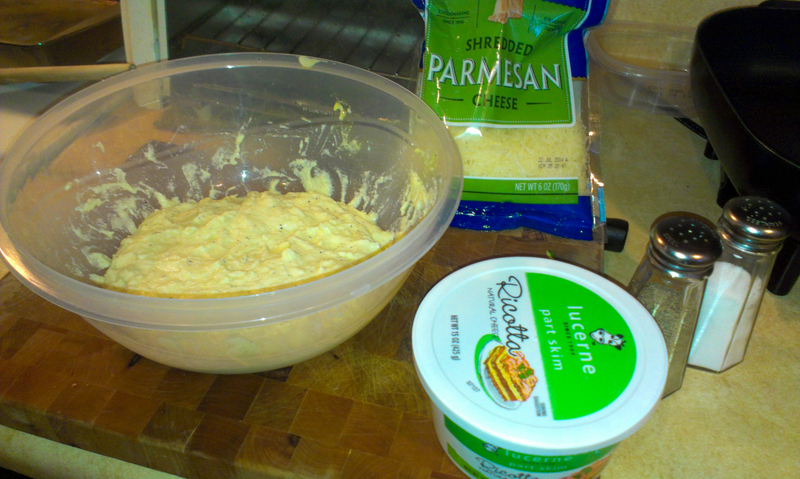 Next was the ricotta cheese mixture, which was a 15 oz. container of ricotta, a handful of Parmesan, and salt and pepper. Set it to the side when finished. When the turkey and pasta are finished cooking, drain the oil and water, then mix both together with the vegetables and a pasta sauce. 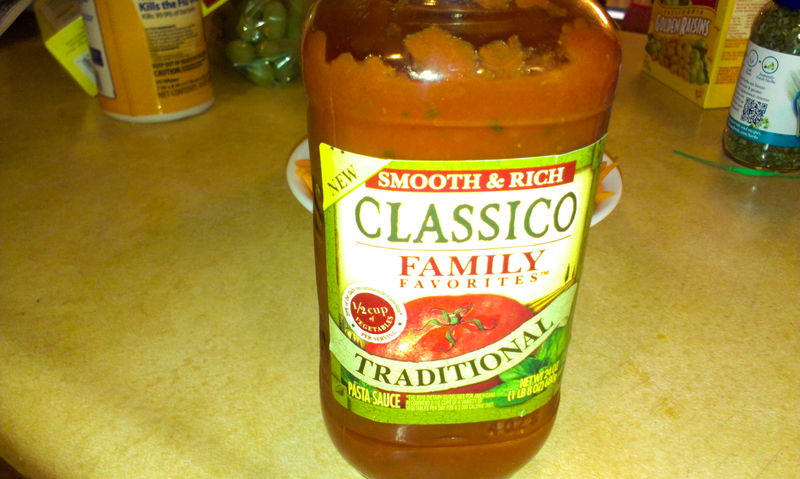 Any kind will do, but I prefer Classico because a) I like the taste; and b) they make for cool mason jars afterwards. Add the ricotta mix to the pasta, meat, and sauce and stir thoroughly, then add a layer of the whole mix to the bottom of a 9 x 13 pan. 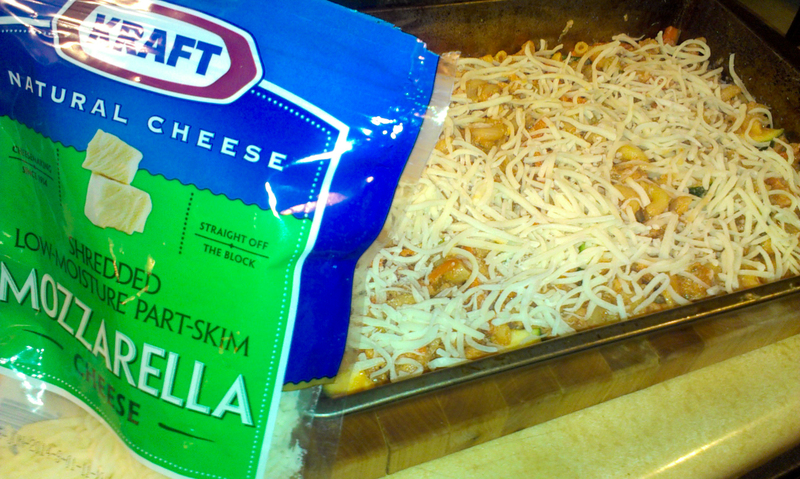 Sprinkle a cup of mozzarella cheese and then a healthy amount of Parmesan on top of the first layer. 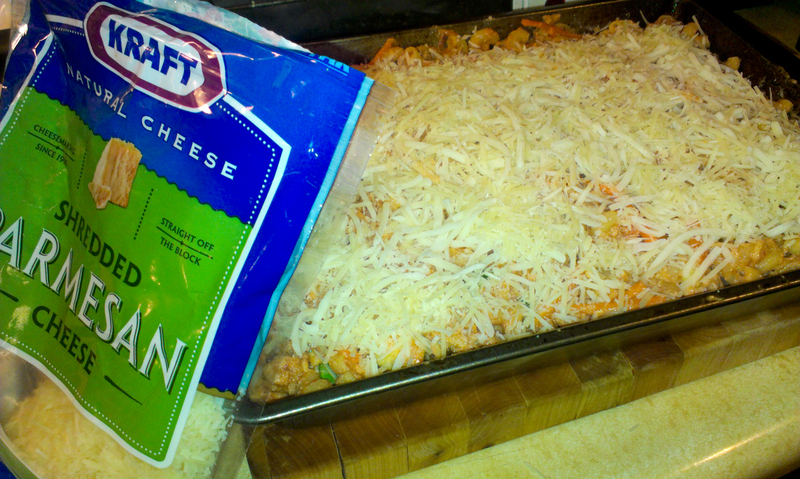 Then add the remainder of the pasta mix and add another cup of mozzarella and more Parmesan. There you have it, a nice high-carb, hidden-vegetable dinner. Personally, I’d give it 3 out of 5 stars on the Scott scale because I cut the zucchini into too large of pieces – leaving them oh-so-slightly under-cooked – and I prefer traditional lasagna noodles. 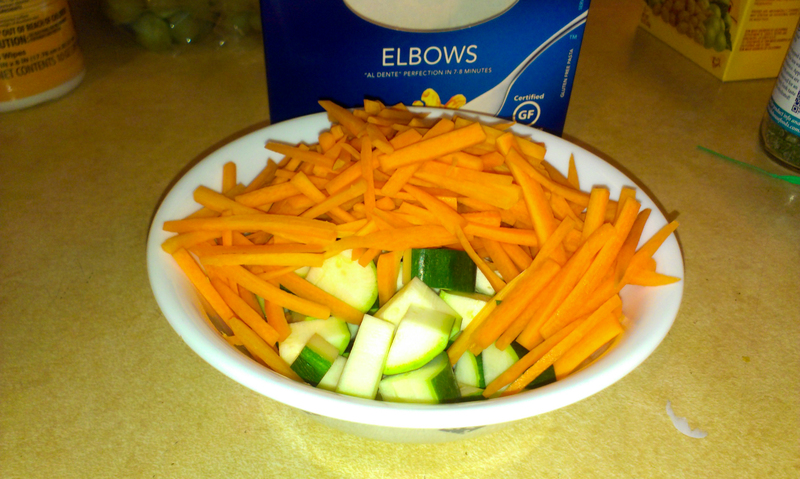 I think Maia gave it a 3 out of 5 on the Maia scale as well because of the zucchini … and she’s not a fan of carrots. Not bad, considering she did get her vegetables. 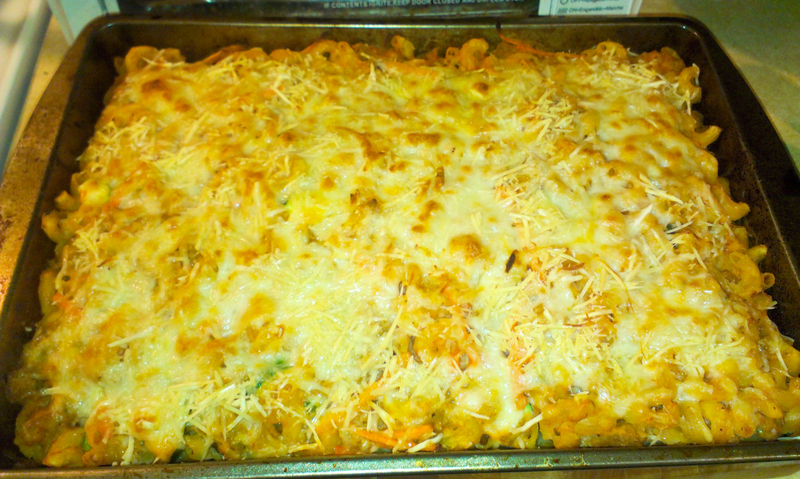 Thanks to Anne Coleman (aka “Short Order Mom”) and Disney’s family.com for this recipe. I’ve decided to start a new category called “food” and my first inclusion is one of my favorite Korean dishes – “Kimchi Fried Rice“. Actually, I want to spend a little more time preparing some of my favorite dishes from Asia as a way to rekindle some of the memories of my time there and I figured I should include them in the blog as well. To make Kimchi Fried Rice, you obviously must start with kimchi and rice. You’ll want to choose a sliced cabbage kimchi, the level of spiciness really depends on what you can handle. For your rice, the key is to use rice that has been sitting in the rice cooker for a day or two. You don’t want to use freshly cooked rice. This goes for any fried rice recipe. 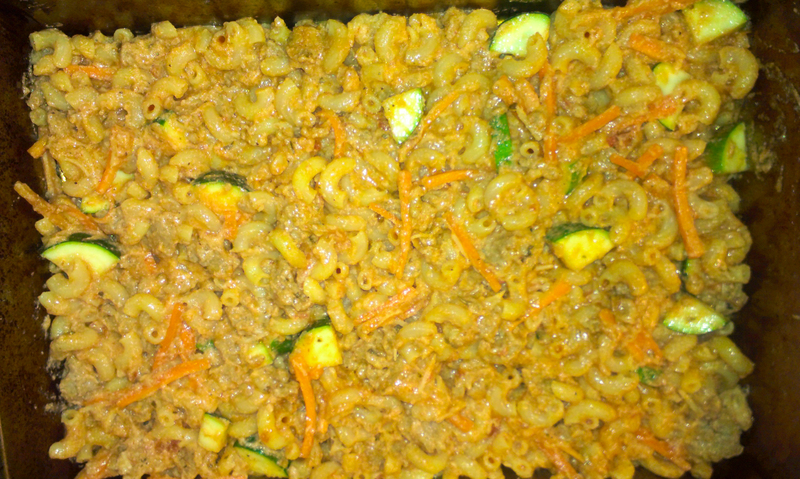 For a fairly large single serving, I heated the pan to about 375 degrees and added about a tablespoon of cooking oil. After heating the oil, I added about one cup of kimchi and a cup and a half of rice, stirred it until most of the rice absorbed the kimchi’s reddish color, then added about two ounces of diced Spam. That’s right, Spam. Koreans have been eating Spam since American soldiers passed out cans of it during the Korean War and they love it. 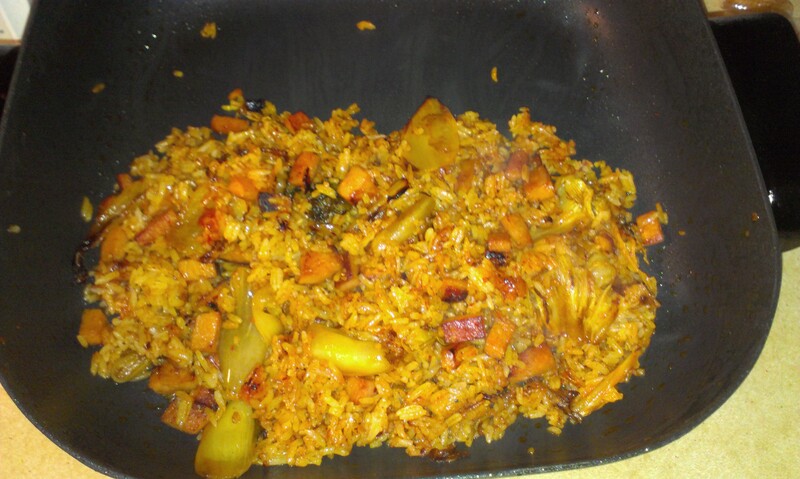 And I love it too … at least in my kimchi fried rice. However, you can easily substitute ham, tuna fish, pork, chicken, or beef if it suits you. I stirred in the Spam for a couple of minutes before adding a small dollop of red pepper paste, or “gochu jjang” (actually, this is the first time that I added this paste and it is not normally included, but I quite liked the flavor). After thoroughly stirring in the pepper paste, I added a teaspoon of sesame seed oil. Again, some vigorous stirring and voila – I had this beautiful meal before me. To me, this was enough flavor, but you could also add other vegetables like onions, peppers, carrots, or zucchini if you wish.